Probate is a typical estate planning subject. It’s also often misunderstood. Sure, many know that avoiding probate is ideal; it helps ensure privacy if nothing else. The last thing many of us want is a public record detailing the assets we’ve owned over the course of our lives nor do we want the public to know how we distributed those assets. Family disputes, creditors and just nosy neighbors are three reasons why we like to keep these details private. But that’s not the only purpose for probate. This legal procedure is used as a way for the courts to verify your will, to help ensure its validity. It also serves as a roadmap to valuing your assets while also addressing any creditor claims that may be filed against it. Further, it’s used to establish any tax debt and then to pay it, as well as other debts you owe at the time of your death. From there, it helps guarantee that what’s left is indeed left to your heirs. Most understandably want to avoid probate: it’s time consuming, sometimes costly and definitely feels invasive, but there are times when a court’s input is both wanted and warranted. If there are considerable creditors you anticipate knocking at the door, the courts can work through that. It also starts a clock – meaning those creditors have a specific time period for making any claims. But what if that’s not an issue and creditors aren’t likely to camp outside the courtroom door? In these cases, you can minimize or even avoid probate in its entirety. That doesn’t mean you don’t need a will – you do. And if there are minor children, probate is necessary. But you can put into place beneficiary designations for your children as well as titling assets in a way that results in a direct transfer to any beneficiaries aside from your will. Think annuities, insurance policies and even your retirement plans. Wondering about your bank accounts or perhaps any brokerage accounts you have? A pay on death designation can help avoid probate and instead move right to those beneficiaries you’ve chosen. The only problem you might run into is an institution citing it’s not part of its policy. Own real estate? You can hold the title with either your spouse or sometimes a child as part of a joint tenancy with rights of survivorship dynamic. Keep in mind, though, you may not be able to change your mind and when you title someone else, they too have some control over that asset and it could potentially mean their creditors will come after it as fair game. Finally, be sure to check into any tax downfalls. Finally, don’t underestimate the power of trusts. For larger estates, a living trust can be a powerful tool if you’re looking to avoid probate. You’ll enjoy the advantages of managing your wealth and naming beneficiaries in one single document without letting go of control and without surrendering your rights to modify the plan. 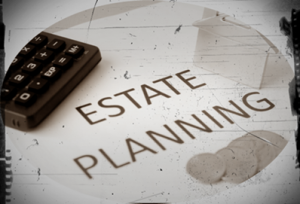 These are just a few of the common estate planning quagmires you may encounter. To learn more about avoiding probate or updating your estate plan, contact our offices today.